Gena Healthy Hoof Nail Lacquer High Gloss Protectant .5oz. There are 569 items available. Please enter a number less than or equal to 569. I like this and Need to use it more then I do. The epitome of beauty essentials! 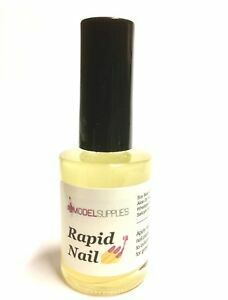 Rapid Nail Growth is the best nail product I have ever used!! 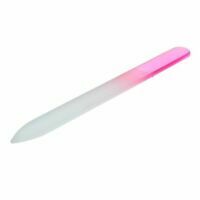 Before I had used it, my nails easily broke and chipped, despite a balanced diet. Now, however, my nails are gloriously strong, and naturally glossy. With its wonderful, spa-like scent, this oil is wonderful to apply. I have been properly following the bottle's instructions, putting it on twice a day (once in the morning, once in the afternoon.) Here are three-day increments of my nail progress/length. Day 1: Without polish, one nail had a recent bruise and the tips were slowly chipping. (I applied the polish 2x.) Day 4: While painted, my nails had grown a bit and where stronger at the ends. (The chipping reduced significantly!) Day 7: My nails had grown once again and retained their hardness. (I was able to press on my nails without pain!) Day 10: Much growth occurred since Day 1. The bruise was healing (Due to the natural ingredients in the serum!) Day 13: This was after an oil application. My nails became as strong as acrylic. (In less than two weeks!) This product has been so successful for me, and I attribute this to its natural components (soy bean oil, olive oil, etc.) The copper peptides also aided in making my nails super strong. My fabulous experience has made me a loyal user! This is the only nail strengthening product that I now swear by! Saw results within 3 days. Will buy more just before I run out!